To ensure a transparent, automizable and customizable workflow, we rely on the established open-source language R for the implementation of the Climability Toolbox. A further advantage of this language is the availability of packages which provide the 27 core indices by the Expert Team on Climate Change Detection and Indices (ETCCDI) under the World Climate Research Program (WCRP). Different R scripts are also used to check, clean and evaluate climate data, and to calculate the different climate indices. The implemented R scripts can be adapted and controlled via the additional ETL tool, which also supports the time-controlled generation of climate indices, reports, diagrams and user specific data. The Toolbox is very flexible and extensible. Use pre-defined R scripts to check climate data for errors or inconsistencies. 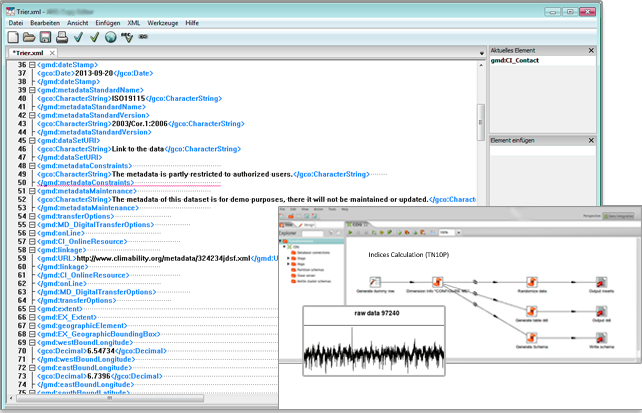 Clean data errors or recalculate climate data by using the provided demo scripts. 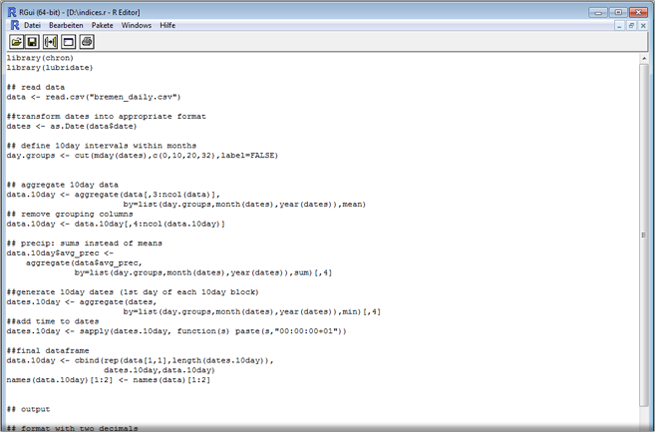 The Toolbox generates CSV files for the climate data and XML files for the station data. Calculate more than 40 climate indices including the 27 core indices from the ETCCDI. Generate reports for data validation, error detection and data management. Create Walter-Lieth diagrams and other graphs dynamically. Use an ETL tool to adapt and monitor data processing and time-controlled data generation.